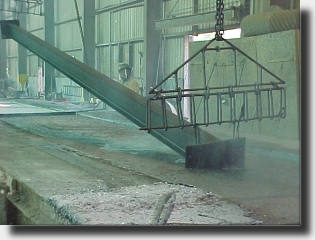 Racking of the work is the first step in the galvanizing process. 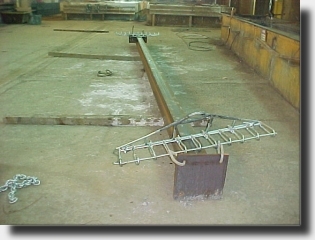 This allows the work to be lifted and moved for processing. 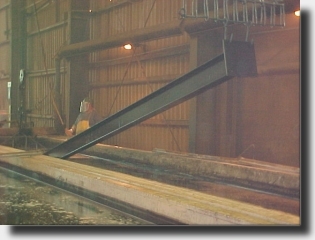 A hot caustic bath is used to remove soils, rolling oils, grease and soluble paint. However, it will not remove vinyls, asphalt or welding slag. Mechanical removal of these materials should be done before shipping the work to us. 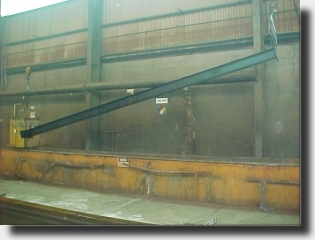 A bath of hot sulfuric acid is used to remove surface rust and mill scale to provide a chemically clean metallic surface. 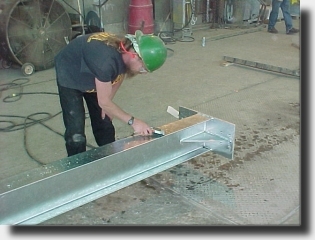 The work is then given a pre-galvanizing inspection. The cleaned work is then slowly lowered through the flux blanket into the bath of 850 degree zinc. The high temperature provides the metallurgical bond. 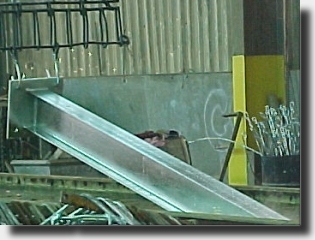 The work being withdrawn from the zinc bath. The work is then cooled in a bath of water and chromate. The chromate provides protection from the formation of wet storage stains. 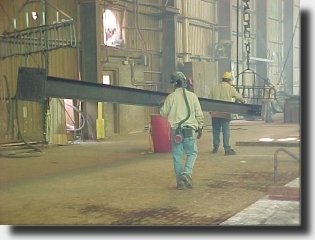 This is a service that few galvanizers provide. 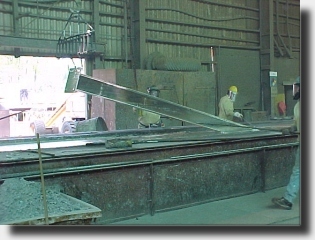 Time is taken to perform a post galvanizing inspection. Looking specifically for complete coverage. 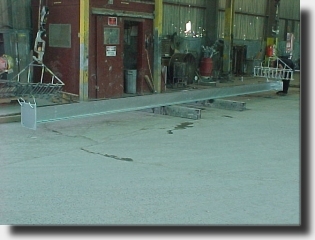 The post galvanizing inspection also includes a coating thickness test.